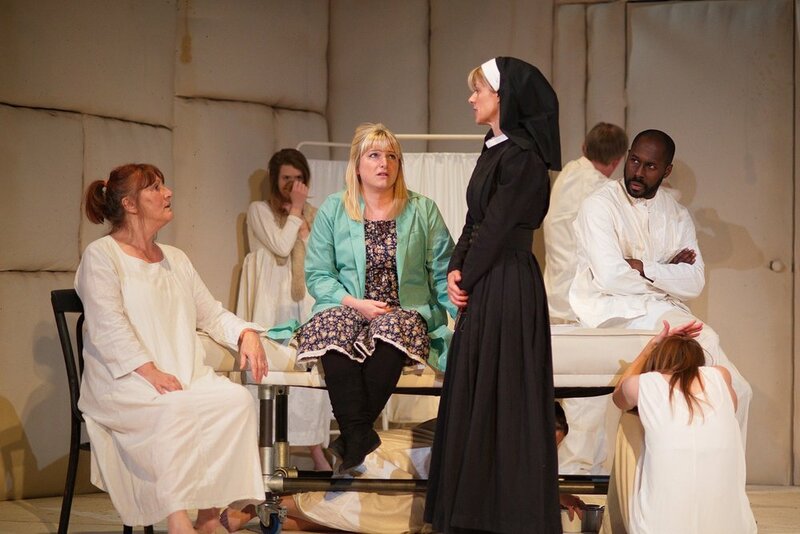 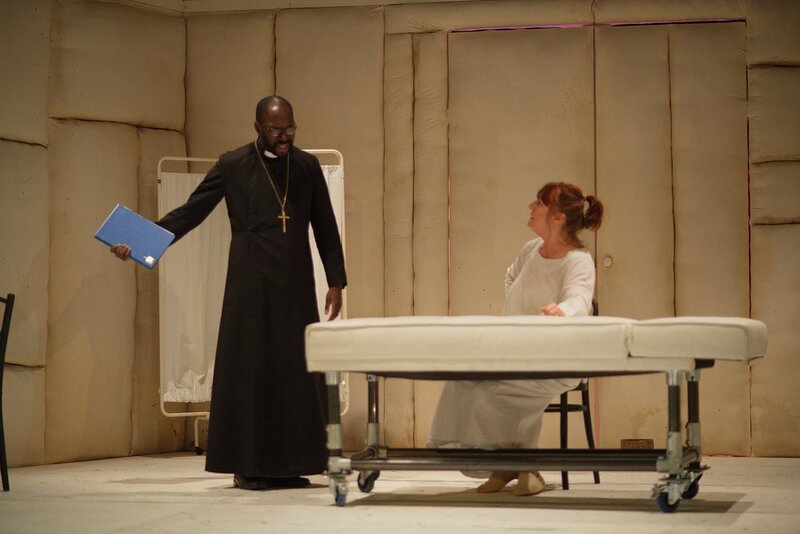 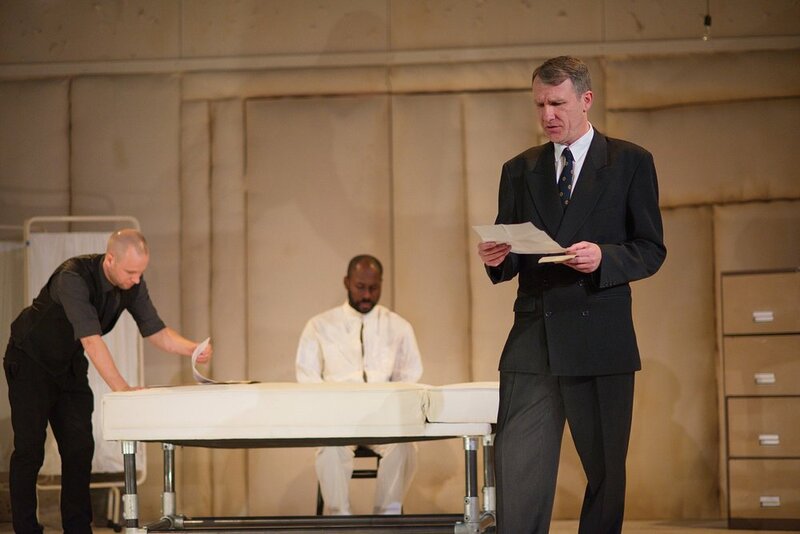 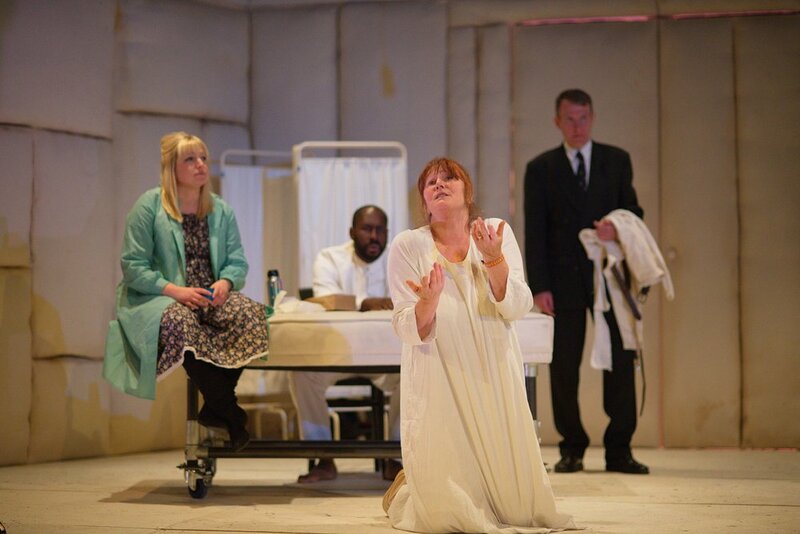 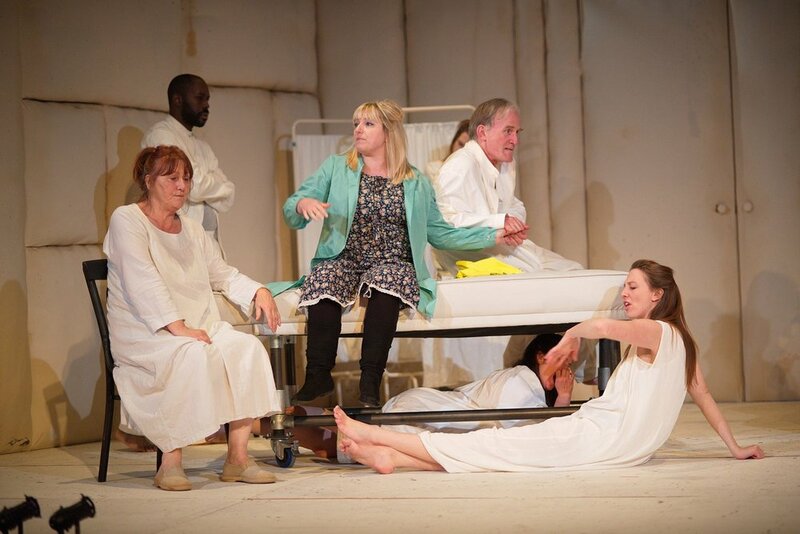 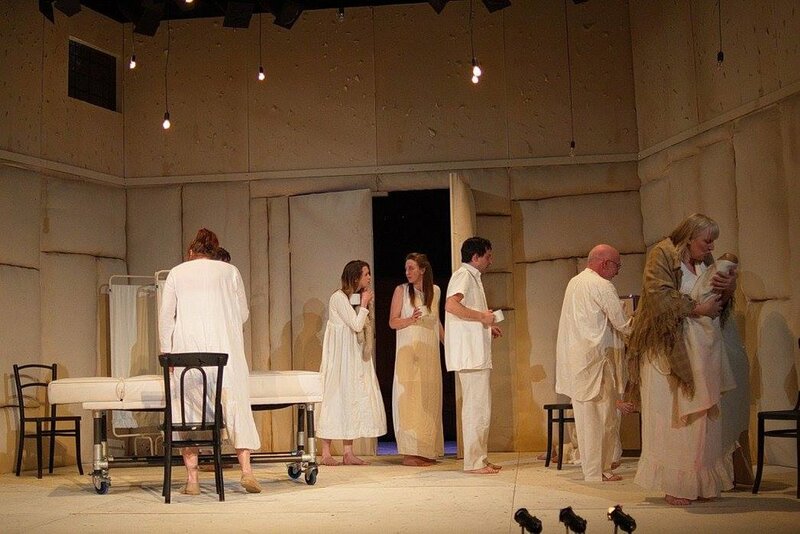 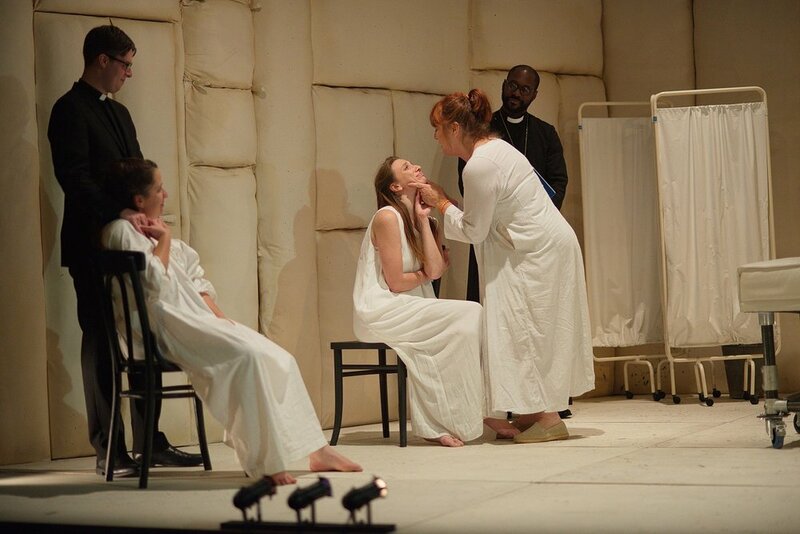 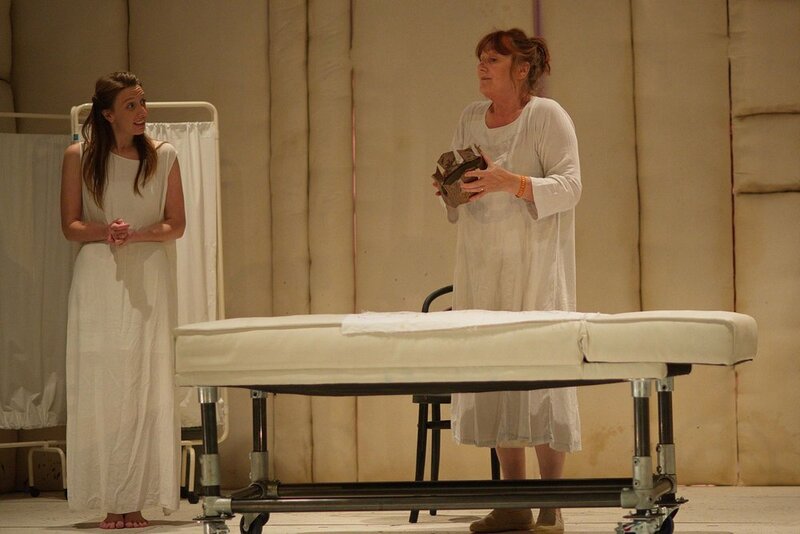 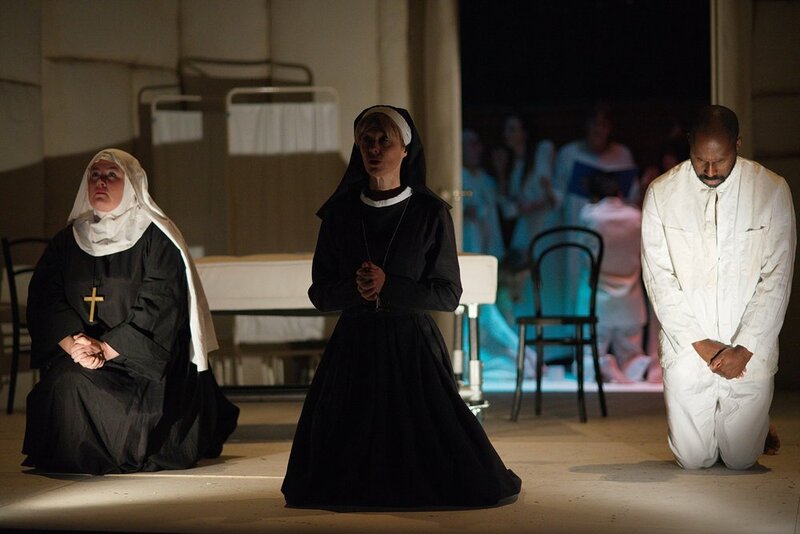 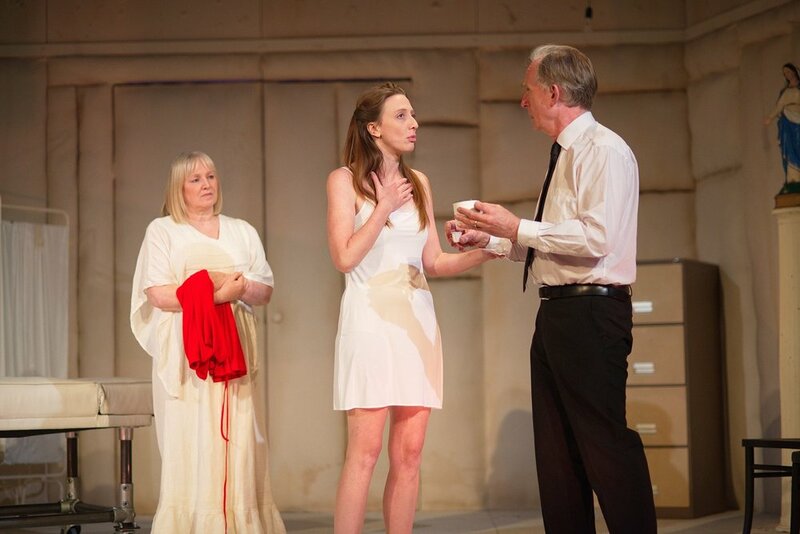 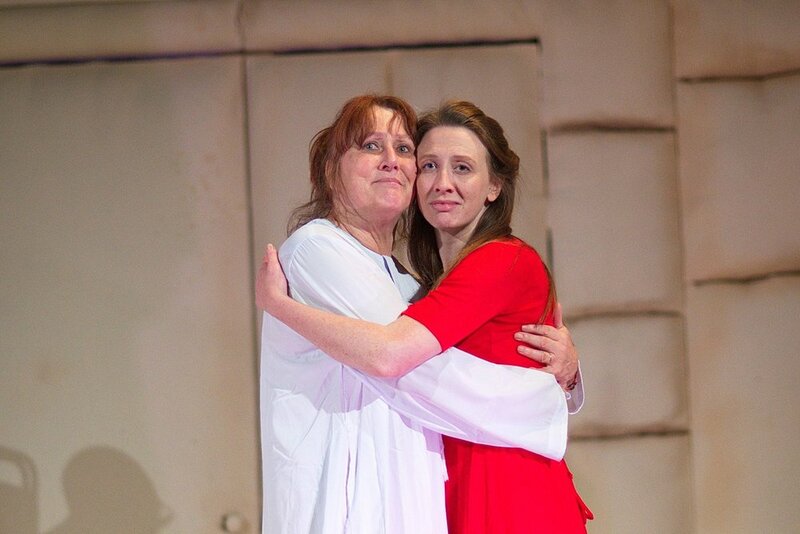 "Makes Shakespeare's text a joy to engage with"
Transposing the story of King Lear and his daughters to a catholic asylum, Chris Scott's 2016 production brought a new perspective to the tragedy. 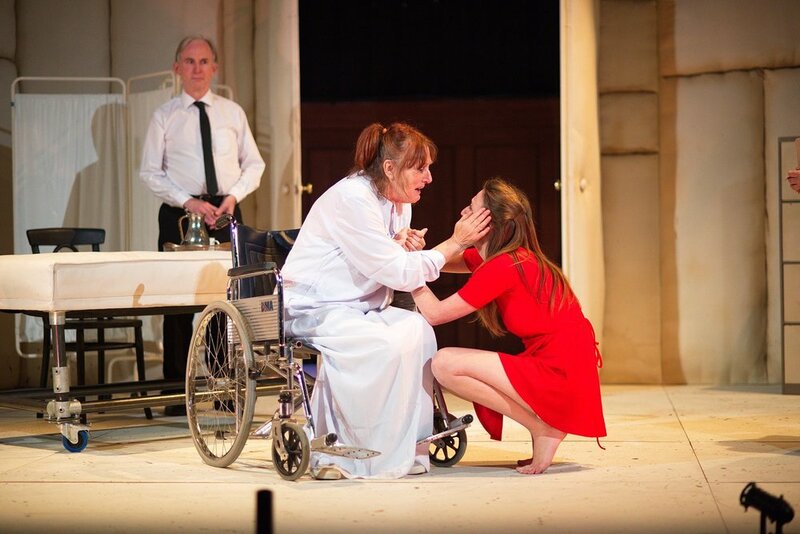 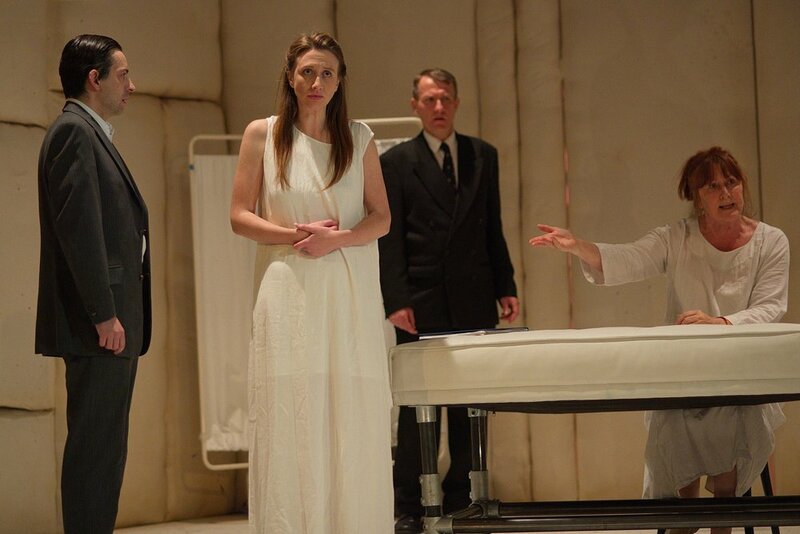 Jenny Earl was magnificent in her portrayal of a woman whose grief at losing her daughter led to madness and despair, manifested in her assuming the identity of Lear. 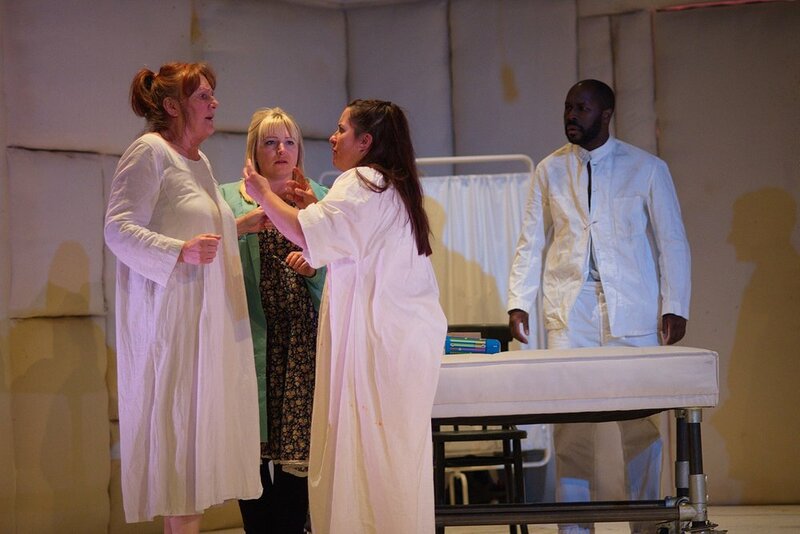 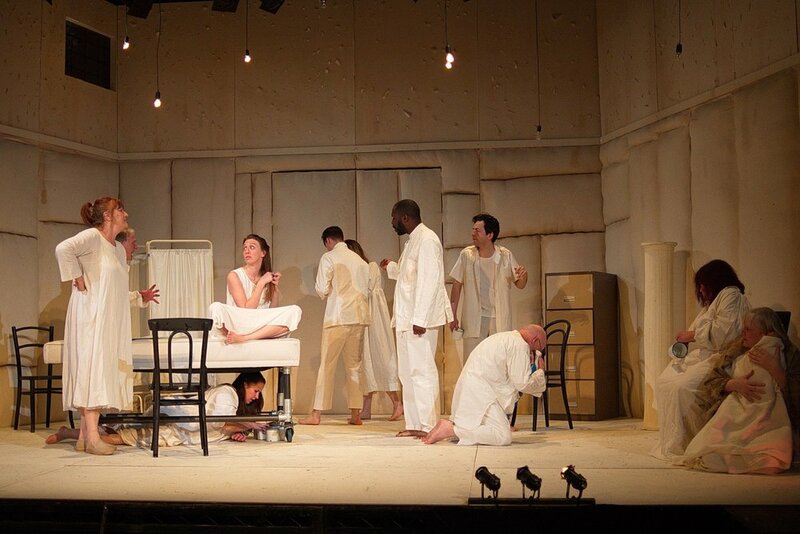 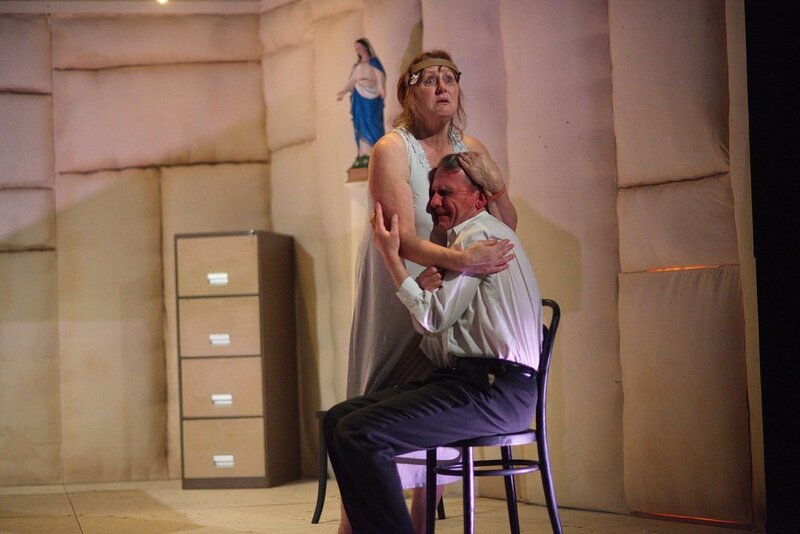 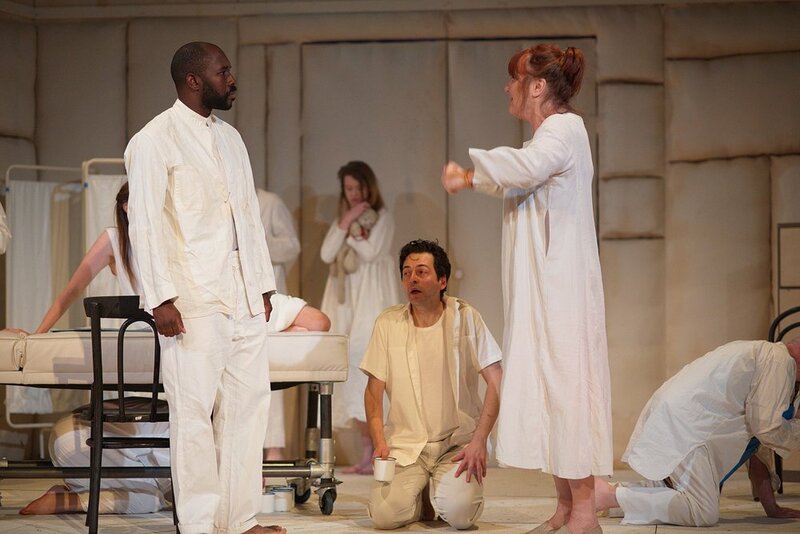 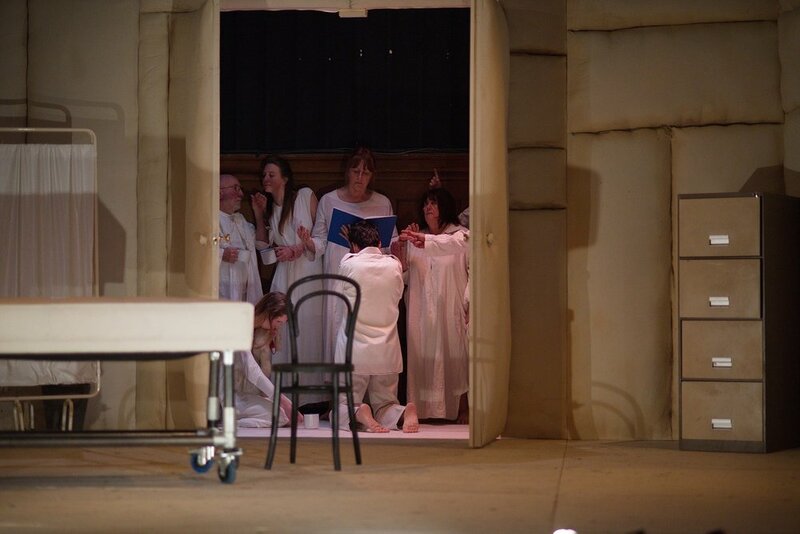 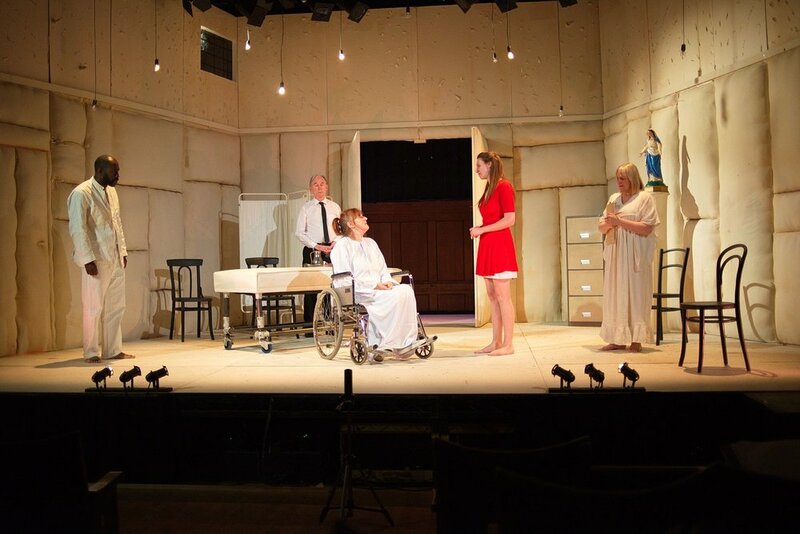 As her fellow inmates and staff were drawn into the fantasy and took on the roles of the play the cast were able to explore the themes of grief, identity and mental illness through their bold but tender performances. 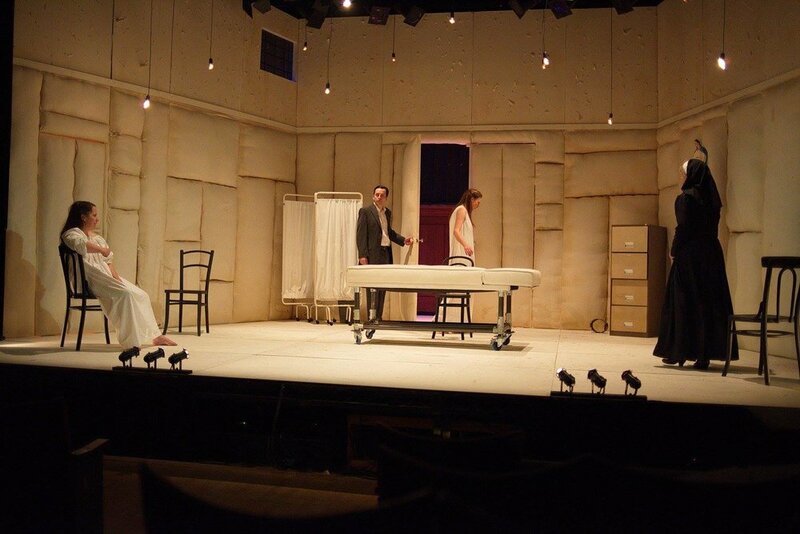 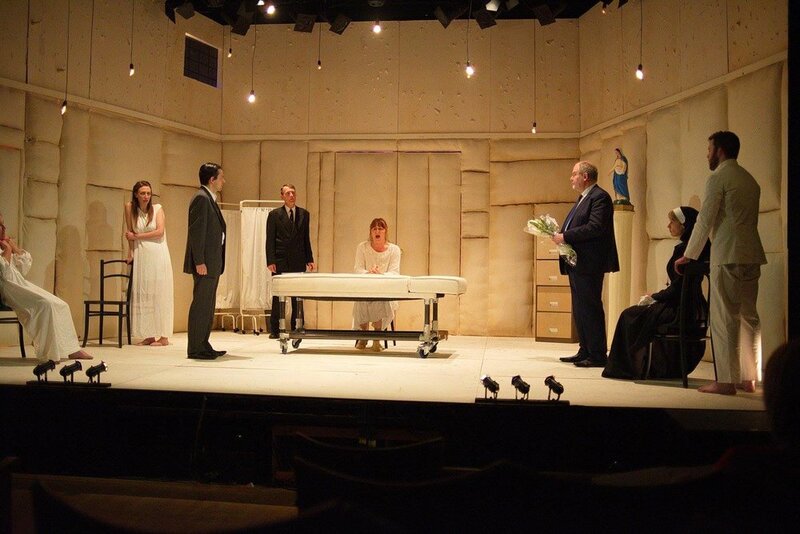 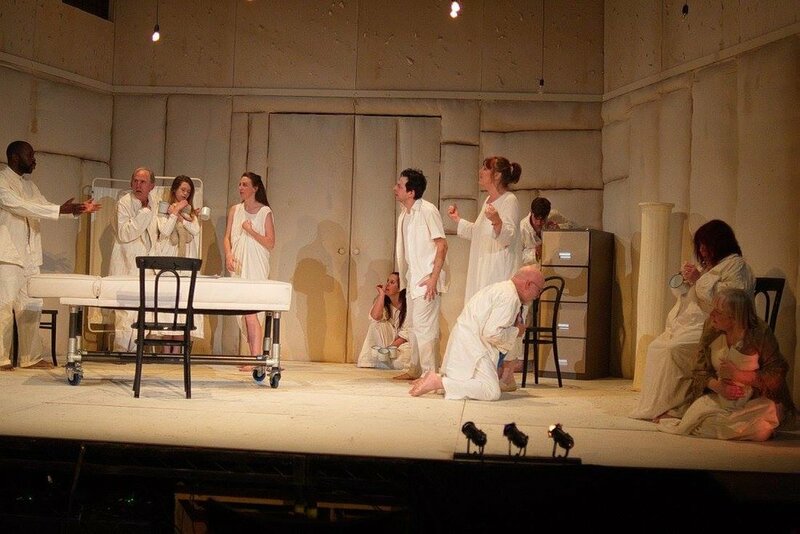 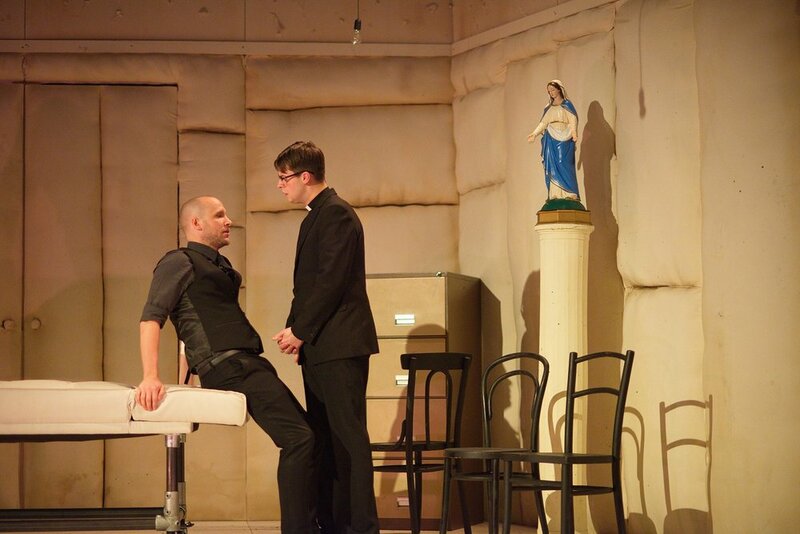 Our design and construction team produced another wonderful Derby Shakespeare set, transforming the Guildhall stage into a giant padded cell.